Added a dark single-column theme with a minimal, techy feel. 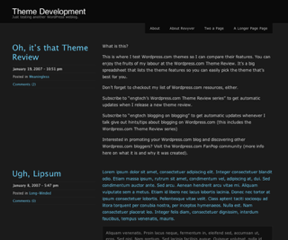 This theme supports custom background, header and menu. Also supports featured image and featured header. It’s built by Automattic! 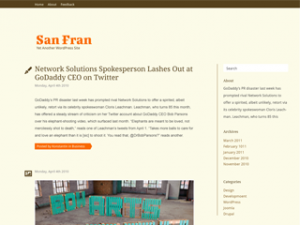 San Fran is a blogging theme focused on typography and content. Several different color schemes to choose from. The typography and color are quite stand out – particularly the default orange color. Custom menu option are available. Intuitive and easy to use theme option.